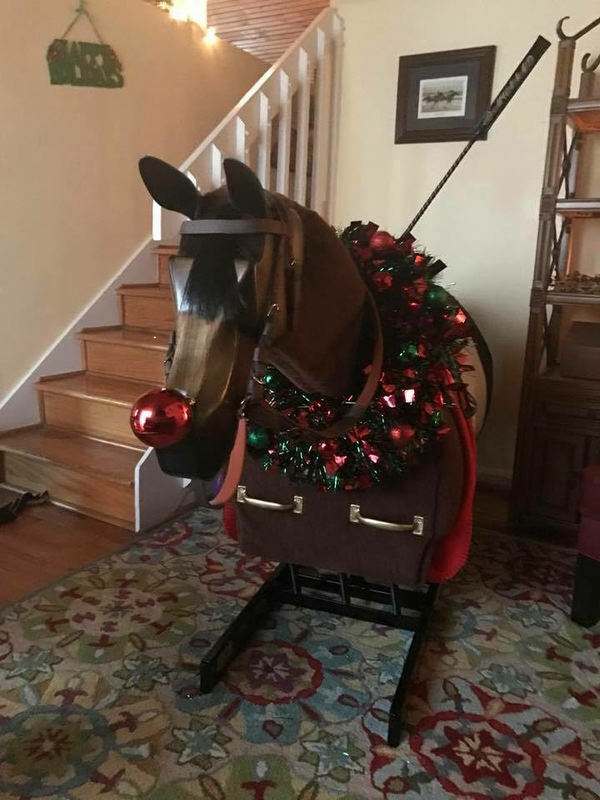 Wooden Horse Corporation would like to say Merry Christmas and Happy Holidays to all the Equicizer owners and lovers out there. We count you all among our blessings. 2016 was a very big and exciting year for the company. We started our Wooden Horse Wednesday blog, contributed to Make-a-Wish, traveled to Hoosier Horse Fair, participated in a Steve Lantvit clinic, partnered with US Pony Racing, teamed up with Reese Koffler-Stanfield, and SO much more. Phew... what a year! As the snow begins to fall in many parts of the world, remember that the Equicizer is an excellent tool for staying in shape during the cold months. We know you still want to get that barn time in, but staying in competition shape can be hard when daylight hours are shorter and cool down takes longer. 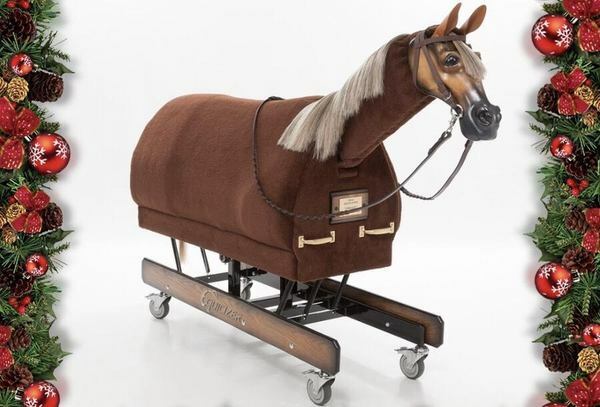 The Equcizer, however, can be ridden in the comfort of your living room before work or even after you go visit your horse in the evening! Looking back on all the excitement of the past year makes us more than eager to see what the new year will hold. We hope that you will continue to follow along with our adventures through newsletters, blogs, and social media. From our Equicizer family to your family, we wish you a very safe, warm, and peaceful holiday season and a happy New Year! Congratulations to the winner of our recent blog contest: Victoria M! Have you checked out our most recent blog post yet? 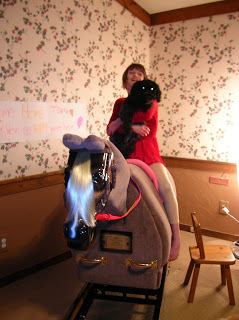 This week we are thrilled to feature Jordan and her Equicizer "Tonka". Jordan was born with a form of pediatric epilepsy and uses the Equicizer to help with strength development. Head over to the blog to read her heart-warming story! Ichiban, owned by Kathy of Bear Creek Bluff Ranch is ready to rock and roll! 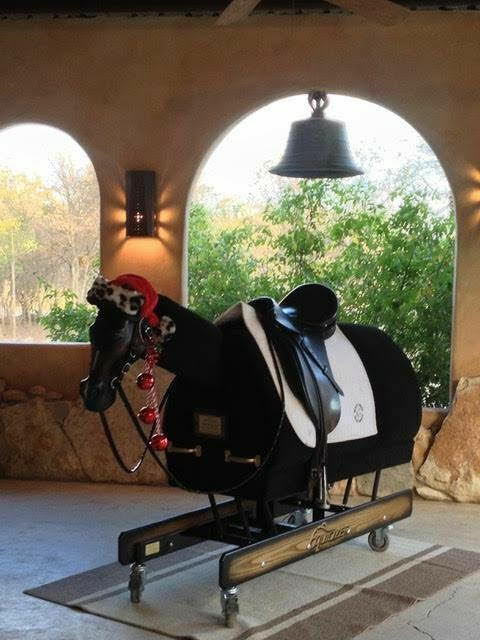 David's Equicizer, Tzars Way, is all dressed up for Santa. 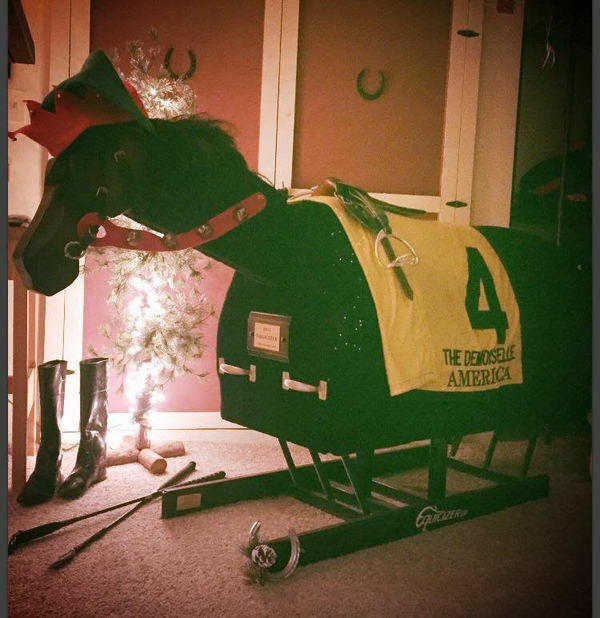 Lastly, Lane and his Equicizer wish you all a very happy holiday season! Please stay tuned on our blog and social media for announcement of our next contest! This contest will be two part and feature submissions from Equicizer owners! The first part will consist of entry submissions of your favorite pictures of the Equicizer in your life (yours, a friends', or a therapy center's). The more creative the better! Once we have the submissions, we will have all the Equicizer fans vote and the winning submission will get a prize!